Whether it’s a close friend, a spouse or another family member, seek out those you trust the most and be honest about your own concerns, your job search and any progress or promising job leads. Having at least one trusted resource during this stressful time can go a long way. Similarly, it’s important to put the word out about your search to others in a more professional capacity, but keep in mind that most connections and leads through professional networks won’t lead to anything in the short-term, and it’s best to follow up after the holidays. No matter who you decide to confide in, make sure that they understand what they can do to support you during the holidays. Listen to your family’s concerns. Chances are, your unemployment will cause your family and loved ones a bit of stress as well. Communicate carefully and often with your spouse or closest family members; listen to their concerns and their advice and allow yourself to be a sounding board for ongoing conversations, even if they aren’t always comfortable. Your unemployment will affect them, and giving them the opportunity to voice their concerns will ease their own worries and create space for everyone to enjoy the holidays a bit more. It’s important to stay positive and enjoy the holidays for your own sake and for your family’s. To lighten the load, remind yourself and your family that the job search will have to come to a hold until the festivities are over and companies are back into a normal routine for the New Year. Allow yourself to forget about your job search by spending quality time with your family and friends – look for activities that aren’t costly or stressful, and try to avoid being too hard on yourself (it will cause stress for others around you). Allowing yourself to relax a bit will ensure that you can approach your job search in the New Year with a fresh perspective and extra energy. Spend time networking and stay proactive. Even if you can’t find a job right away during the holidays, simply taking one or two steps in the right direction is important, if only for your own morale. Taking actionable steps will make others around you feel better and alleviate stress and tension that inevitably comes when one feels paralyzed by inactivity in the job search. The good news is, the holidays are a time for socializing, and while you may face more uncomfortable questions about your job, you can also use the time to seek out leads and network with new professional contacts at your next holiday party or outing. Staying positive at these functions is critical, as a defeatist attitude often won’t lead to a strong connection, and especially won’t translate well during the festive holiday season. Stay positive, enjoy social functions as much as possible and you might be surprised by the opportunities that come down the road because of it. If you’re in the market for a temporary job this holiday season, Adecco can help. Adecco job seekers have unlimited access to our online job search tool to locate job opportunities that best meet their needs. 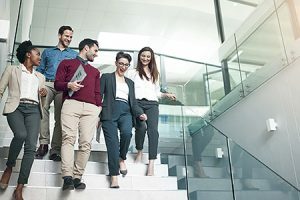 Click here and discover the number of unique programs to help you prepare for your next career move.